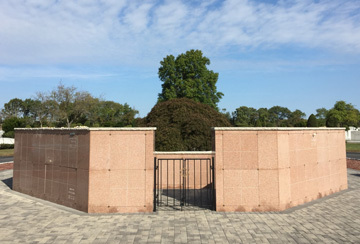 The final placement of cremated remains in a columbarium offers future generations a permanent place to visit and reflect on the life of their loved ones. We are now offering above ground burial for cremated remains in two locations. Mount Ararat Cemetery was founded in 1928 as the metropolitan areas first and only lawn plan cemetery. There are no annual grave care bills at Mount Ararat. We made our first burial in 1931 and since then have made over 50,000 burials. We are regulated by the State of New York and all our rates and charges are subject to State approval before they can be implemented. The annual meeting of the plot owners of MOUNT ARARAT CEMETERY will be held at the cemetery office East Farmingdale, New York, Monday, May 13, 2019 at 2:00 PM, for the election of Directors and the transaction of any other business that may lawfully come before the meeting. Addie Cote, President. Mount Ararat has a limited number of graves still for sale. 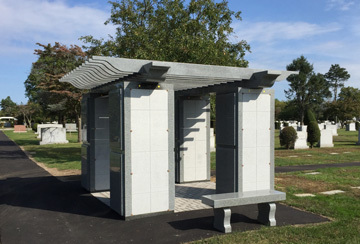 For information about the cost and availability of graves, you may contact our office at 631-957-2277 six days a week during regular business hours. We are closed on Saturday. The cemetery office is closed on some federal and religious holidays.